"... today it was day of ministerial agreements of president Tabar� Vazquez. The main announcement was made after the agreement with the Ministry of Housing. The secretary Jaime Igorra said that the F�nix Plan is cancelled, that the funds will be diverted to a plan to revitalize the Goes district and that trains will be back again to the General Artigas railway station"
"the Government has decided to reopen the old Jose Artigas train station for freight and passenger services, the trains will return. Mr. Igorra also said that was decided to cancel the F�nix redevelopment plan. Now they are working on the Goes Plan to give housing to families of low and average income. Igorra told to "Subrayado" that the new station will be deactivated so the trains can arrive again to the terminal. The idea is to capitalize the infrastructure that surrounds to the port." (Update: too much bla bla, but Montevideo Central Station still abandoned - politicians now are talking to transform it in the "Mercosur Parlament" or an expo site. However, we are still working to restore train service to it). 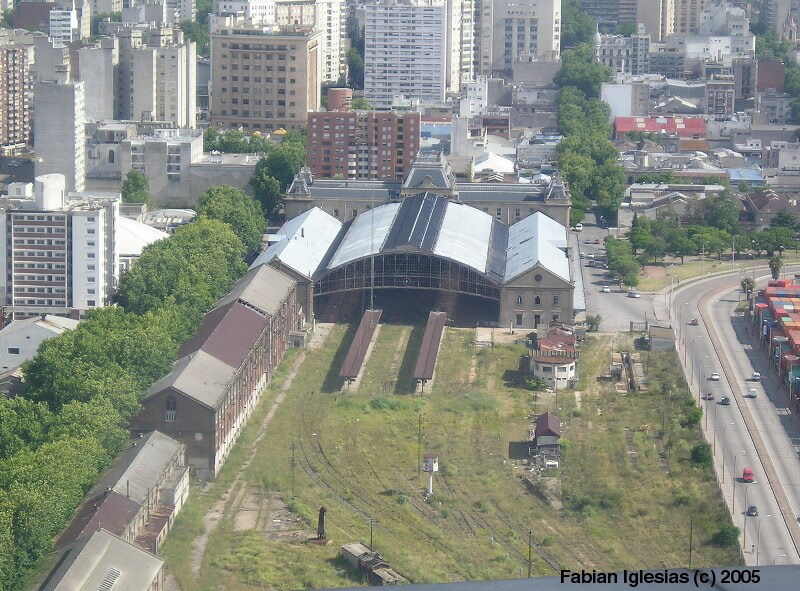 The future president of the Administracion de Ferrocarriles del Estado (AFE), Antonio Galicchio, considers that he is "viable" to recover the old Central station "General Artigas" like terminal of trains, and in the next days will study an initiative of private that has that objective. 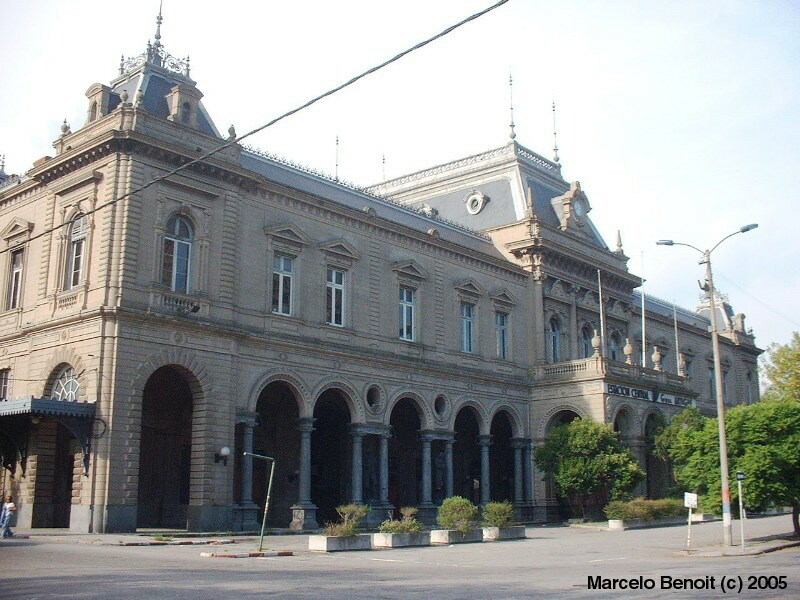 Galicchio, like minister of Transport and Public Obras V�ctor Rossi, will receive this week a project of the Group of Passengers in Defense of the Central Station, that aims at that the railroads return to the old station, today left. "Bond the pain to think about a solution to recover the station of trains, that is an historical monument", said Galicchio to the Country. New jerarca not yet knows the details the initiative, but it admitted that at the present time there are no possibilities that the Central station works solely like terminal of trains of passengers and load, like did originally. Nevertheless, it advanced that the project yes is viable, in case that interests of several organisms are combined and that the station has different utilities. "It would be income-producing if, in addition to AFE, other distributions participate, like the Ministry of Tourism. That is to say, which the station does not work only like terminal ", Galicchio expressed. PROJECT. It supposes that jerarca will take contact in the next days with the project of the Group of Passengers in Defense of the Central Station, that exists like so from 1998, and is integrated by 20 active members and 500 adherents. The initiative has like objective that the Central Station returns to become a terminal of trains, and that in addition lodges to the offices of the being. 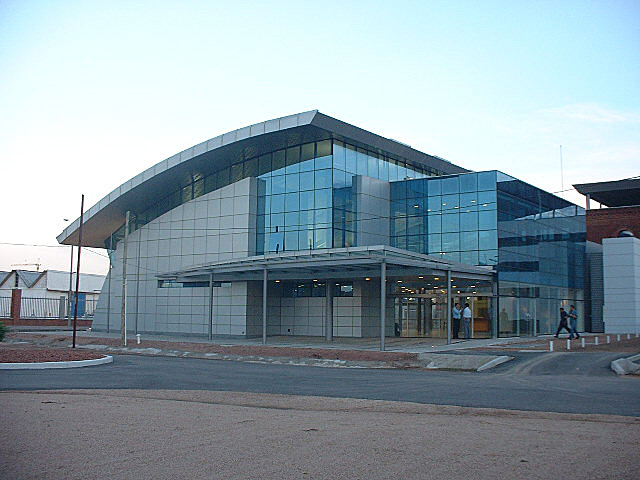 AFE sold the building in 1998 to the Real estate mortgage bank of the Uruguay (BHU), that paid to 7.8 million dollars more 6 million for the construction of the new terminal, that works next to the Tower of the Communications. At the moment of the sale, AFE authorities considered that the being freed itself of the high costs that the maintenance of the old building implied and in return, would obtain a modern station, in addition to an important amount of money to invest in projects of railway recovery. Nevertheless, the coordinator of the group, Marcelo Benoit, indicated that at the moment there are no projects for the old building. "We have expectations, because the new authorities speak to increase the services of trains, and that cannot be done with the new station: she is very small, he has only three tracks, and in addition is very far from downtown. Since she is in operation in 2003, 10,000 monthly passengers have been lost ", commented. DETAILS. The project, that will be presented/displayed before the new authorities, identifies two different zones in the building and its bordering zone, and makes compatible operative the railway one with other activities. In one of the zones a great center "of foreign trade would be located", including restaurants, bars, banks, rooms of Internet and room of conventions, among others. The second zone is denominated "social" and includes the sheds of the Paraguay street, that would destine to houses "loft" for young artists, craftsmen, and pairs. The ground floor of the buildings would be used like the premises for small and medium companies. A "linear park" would be constructed to unite the Central station with the Tower of the Communications. In as much, the hall of the station, and first stage would return to be occupied by AFE, that would install their offices there, today located in Avenue of the Liberator. The objective is that the administration calls to concession to make use of the spaces of the two zones. 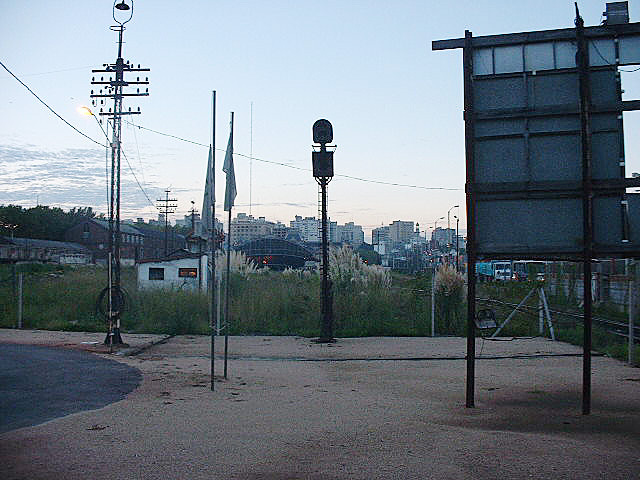 On February 28th, 2003 and without previous notice, was decided that passenger trains will leave and arrive at the new Montevideo station, 1/2 km to the North of the city centre since March 1rst. ...and last train arrived 21:25. Last movement out of Central Station departed 21:40. 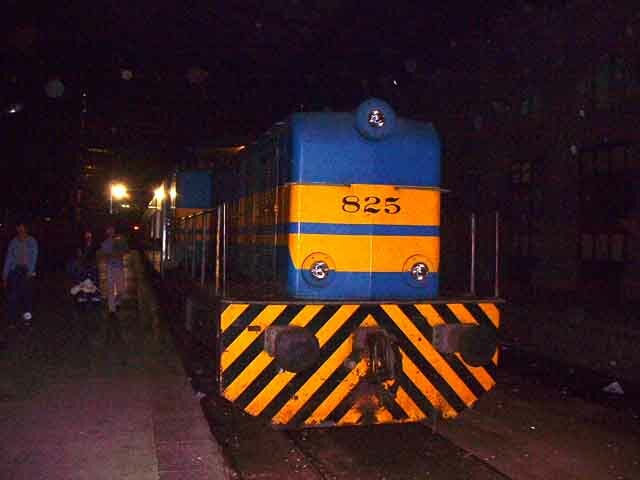 2805][UY] Montevideo - Progreso - 25 de Agosto: (R.0928, 2331) At 19:18 on Friday 28 February 2003 the last scheduled passenger train departed from the Uruguayan capital�s magnificent 19th-century terminus, Montevideo Central, also known as Estaci�n General Artigas, the last inbound train arriving at 21:25 and the last empty movement leaving at 21:40. From 1 March 2003 the country�s remaining suburban passenger services were cut back to a new platform an inconvenient 500m to the north of the city-centre. Montevideo suburban train services could lose more than 50% of their 1200 daily passengers if the Montevideo Central Station is transformed in a cultural center and the train terminus moved 1/2 km to the north, in a very inconvenient place for passenger access. 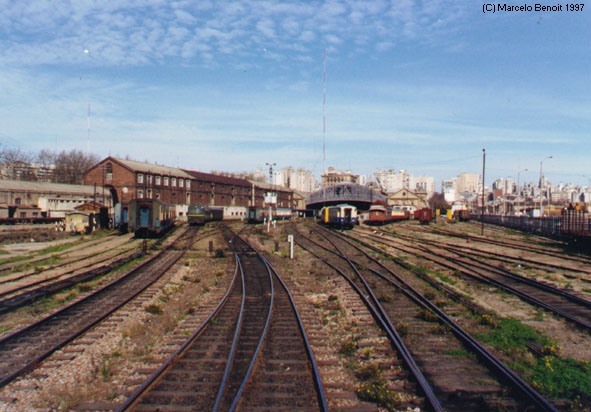 The State Railway Administration (AFE) sold the Montevideo station and yard to a state owned bank to make a land development. The bank payed US$ 7,8 millons to the railway for the 1897 building and 6 ha of land (a very low price) and also acorded the construction of the new station as part of pay. The Montevideo Central station can�t change their destination because is an historic landmark (protected by law). Also the law that regulate the railway allows only that not useful assets of the railway can be sold, which is not the case of the station. The redevelopment project (known as "Plan F�nix") is rejected by a lot of organizations including the Montevideo Major, Montevideo port, private builders, transport experts, political and civil groups and pro-rail organizations. At same time, the Passenger Group defending Central Station made a survey to know the number of actual passengers that will use the new station. 78% of daily users of Central Station refuses to walk to the new terminus, which represent more or less 50% of all users of the five Montevideo-25 de Agosto roundtrips. The railway envisaged to set up a transfer ticket with buses but the survey revealed that it�s rejected by 86% of passengers, because nearly all arrive at the present terminus on foot and also isn�t envisaged that bus lines deserve the planned new station. Freight trains will suffer also because without the yard of the Central Station the present yard at Lorenzo Carnelli station will be congested. At present, Passenger Group is lobbying at Congress and made an alternative project to revitalize Montevideo Central Station without destroy railway infraestructure. Alternative project link here. The planned dismantling of the Gen. Artigas Central Station's infrastructure will adversely affect both cargo and passenger train services, as the train station migrates northwards half a kilometer, and the manoeuvering grounds disappear. Trains will lose 78% of passengers who presently make use of the Central Station. Legal recourses are being taken. The Passenger Group in Defense of the Central Station claims that citizens will be adversely affected, as the train station's new location, farther away from the downtown area, which is the starting and end point of most trips, makes it more difficult to take the train. The price of train tickets will go up by at least 50% for shorter distances, as people are forced to use another means of transportation in order to reach the train station (presently most people reach the train station by foot). Trip times will increase, due to the need for connection times between one mode of transportation and another, as well as to trips on buses over more congested traffic lanes. In addition, the train station's new location is farther apart from the main urban transport axes. Passengers also point out that the train will become less competitive in the cargo arena as well, due to the reduced infrastructure once the present station is dismantled. The lack of manoeuvering grounds and parking lanes for cargo cars bound for the port will result in congestion at the Lorenzo Carnelli station tracks. In addition passenger cars will have to be unnecessarily moved from the new station to Bella Vista, as there won't be enough tracks in the new station. All these factors will make the market much less attractive for private passenger and cargo carriers. In a recent poll 78% of 900 passengers using the present station stated they would not be willing to continue using the train if the station is moved. In the same poll 86% stated they would not be interested in the proposed combined bus-train ticket, since they reach the present station, located in the corner of La Paz and Paraguay streets, on foot. 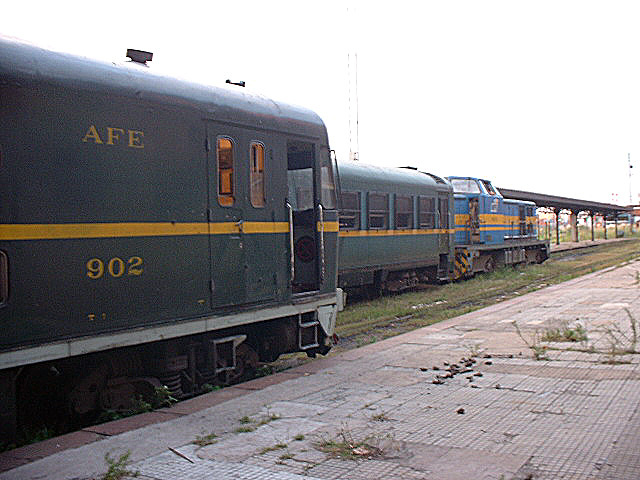 AFE (Uruguayan State Railways) technicians have admitted the new site is inconvenient, while BHU (Uruguay Mortgage Bank) officials responsible for the works informed the former AFE president in a memo that it is planned for a modest amount of passengers. Later AFE and BHU contradicted that and stated the new station could handle 20,000 passengers daily, an impossible figure. In addition, the cost of transporting cargo by train will increase as a result of longer waits, due to the lack of manoeuvering grounds near the sea. Construction of a special terminal for transport of lumber will adversely affect the rest of the cargo (mainly containers and bulk), even without taking into account the fact that the lumber terminal hasn't even begun to be built yet. This will make Uruguayan exports less competitive in international markets. The Passenger Group is of the opinion that Article 1 of Law 14982, as well as the AFE Organic Charter (Law 14396, Article 18) have been violated by the 1999 AFE sale of the central station to the BHU, since according to these clauses, AFE may only sell absolutely unnecessary properties. In addition the Group claims that Resolution 1097/975 has been violated. This resolution declares all of parcel 10415, taken up by the station, their yards and auxiliary buildings, to be a Historical Monument, which means it may not be physically altered nor its purposes changed. Therefore the Group has petitioned to have the appropriate administrative actions revoked. On June 2000 the Group presented President Batlle and the Transport Committees of both legislative houses an alternative project which reconciles real estate development needs with rail transport priorities. Do you think that was good to move trains to the new station? Politicians don�t use trains. People do.